Dr. Jesus Medina is your Las Vegas dentist for regular dental care including checkups and teeth cleaning as well as more advanced care when needed, from fillings to dental implants. Regular dental care is important and easy. Just call and schedule an appointment for a cleaning and checkup. Dr. Medina specializes in pain free dentistry, so forget your anxiety when it comes to dental care and just relax. Regular care is key to helping your teeth last a lifetime. Checkups are quick and painless. Dental cleanings remove tartar and bacteria buildup that ordinary brushing can’t. These can damage your teeth over time and should be removed with a professional cleaning twice a year. An exam will find out if you have any developing problems with your teeth or gums. Along with explaining a treatment plan for follow-up care that’s needed, Dr. Medina will give you tips on caring for your teeth at home and help you keep your bright and happy smile. Of course, teeth can develop decay that leads to cavities and damage to the tooth and gums. Dr. Medina can repair damaged teeth with services including fillings, crowns and caps as well as root canals and other treatments. And, with new laser dentistry, much of your dental work can be done pain free so there’s nothing to be worried about when you sit down in the dentist chair. Lost a tooth or teeth? Dr. Medina specializes in tooth replacement services. He can help you restore a full, healthy smile and protect your oral health by replacing lost or damaged teeth with a bridge, dentures or dental implants.Tooth replacement can help keep your mouth healthy and make your life more enjoyable as you enjoy your favorite foods again and show off your new smile. From tooth whitening to braces to straighten your teeth to tooth replacement, Dr. Medina can help you get your best smile ever and feel good again. Replace missing teeth with permanent, natural looking teeth that don’t decay or yellow.. Dental implants protect your gums and jaw from receding after tooth loss, improving your oral health for a lifetime. If you have missing teeth, ask Dr. Medina about whether dental implants will work for you. FastBraces® make ordinary braces seem old-fashioned. With an advanced and easy to manage bracket system, your teeth can be straightened faster, sometimes in a matter of months. And, FastBraces® look better, too. State of the art, fast and beautifully effective teeth whitening with GLO (Guided Light Optics) revolutionary technology that whitens your teeth faster and brighter with a simple and painless in-office heat and light treatment. Many dental procedures can be accomplished with just laser light and water, resulting in pain free dentistry without needles or drills. 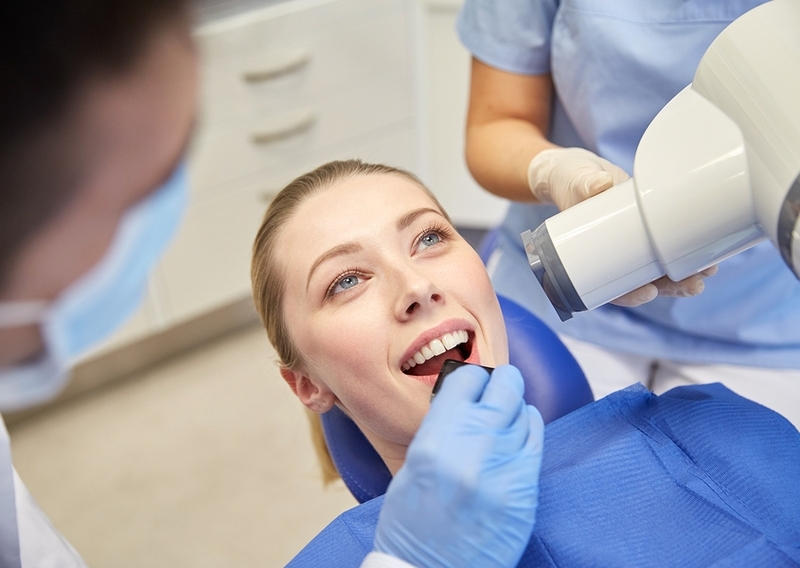 Laser treatment means less damage to teeth and tissue from traditional drilling. Even kids smile when they find out about laser dentistry! Dr. Medina offers “dental health care” vs. “disease care”. His mission is to make your mouth healthy and help you keep it that way, with routine cleanings, sealants and fluoride treatments. 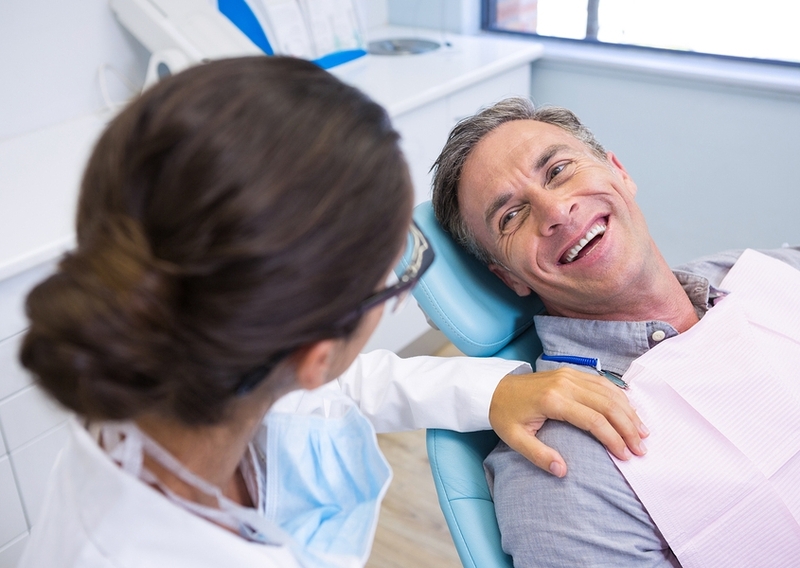 He suggests easy, regular dental exams to address the overall health of your teeth and gums, oral cancer exams, and regular x-rays to spot trouble early and help avoid costly procedures down the road. We know that a lot of people don’t like going to the dentist. They’re afraid it will be uncomfortable or painful. Dr. Medina wants to make sure you don’t experience discomfort or anxiety. Most of Dr. Medina’s advanced procedures, such as laser dentistry, are designed to be pain free and easy. Talk to Dr.Medina about ways he can help you feel comfortable and at ease at every visit. Our office is located at 777 N. Rainbow in Las Vegas, just north of the 95 interchange, easy to find and fast access from the freeway. Don’t put off your dental care any longer. Give Dr. Medina a call today for an appointment.